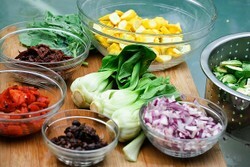 What is Mise En Place? The cooking principle of "Mise en place" is important in helping to organize both restaurant and home kitchen environments. If you are interested in cooking and watch a lot of food shows on television, you've probably heard the term "mise en place" used frequently. But do you know what mise en place actually means? Mise en place is French for "everything in place". It is used in cooking to refer to the practice of having all ingredients required for a recipe or meal arranged, chopped and measured out in advance of beginning to cook anything. Mise en place is used by professional chefs and restaurant kitchens to ensure efficiency and consistency in the preparation of meals, and is in fact one of the practices first taught to new students in culinary schools. Many suggest that mise en place is equally useful to the home chef, although not all agree that such careful preparation is necessary or efficient in the preparation of most home-cooked meals. That said, there are times when mise en place can be extremely useful no matter whether you are cooking for one or cooking for an entire restaurant: when preparing a stir-fry, for example, as ingredients need to be added very rapidly and in a particular sequence to the wok. In baking it can be useful as well, when careful measurement of ingredients are required and you don't want to accidentally forget or realize you have run out of a crucial ingredient. 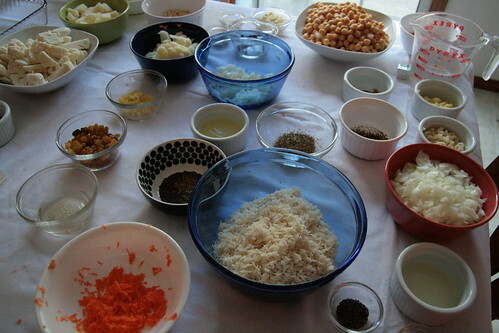 On this page I'll talk a little bit more about mise en place, share some educational links and videos, and also recommend kitchen bowls, dishes and other utensils which can be useful in following mise en place practices in your home kitchen. 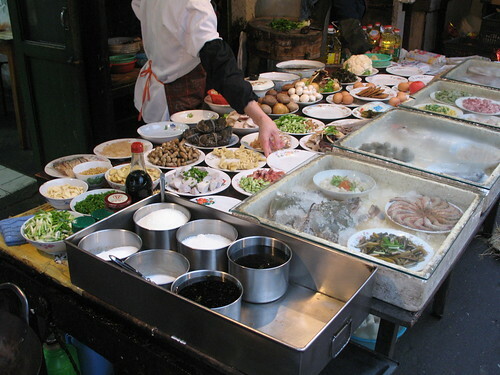 Image above: an example of mise en place. Photo courtesy Don LaVange on Flickr, licensed under Creative Commons Attribution-ShareAlike 2.0 Generic. Mise en place is not just about preparing ingredients but also making sure all other aspects of a recipe's preparation are ready to go. 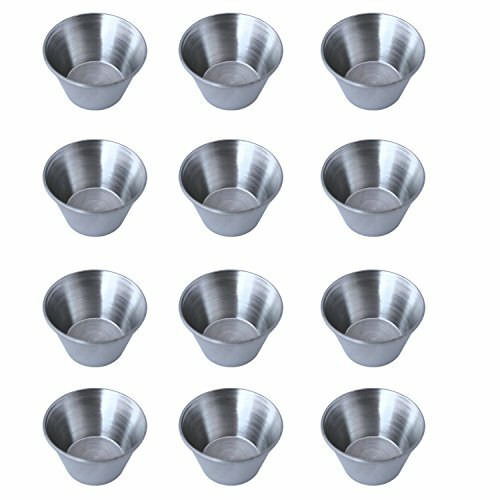 Utensils such as spatulas, spoons, pans and strainers are assembled and lined up for use; ovens are preheated to the proper temperature; serving platters are cleaned, stacked, and warmed as necessary. This might seem like a lot of "bother" to go through before even beginning to cook, but think of a professional kitchen environment where many plates may need to be prepared and assembled at once. To have to keep chopping vegetables, searching for spices, or finding necessary pots and pans can slow down the process, and also introduce mistakes easily. Preparing your mise en place is also helpful for a beginning chef, or when you are trying out a new recipe for the first time. You begin by reviewing the recipe, and determining if you have all necessary ingredients and equipment before beginning. By chopping, dicing, and measuring out ingredients, herbs and spices in advance, it allows you to focus exclusively on the cooking process itself once begun. As such, you are less likely to overcook things because you've forgotten you need to wash and chop some parsley before continuing, for example - or suddenly realize you're out of the red wine required to deglaze a pan. 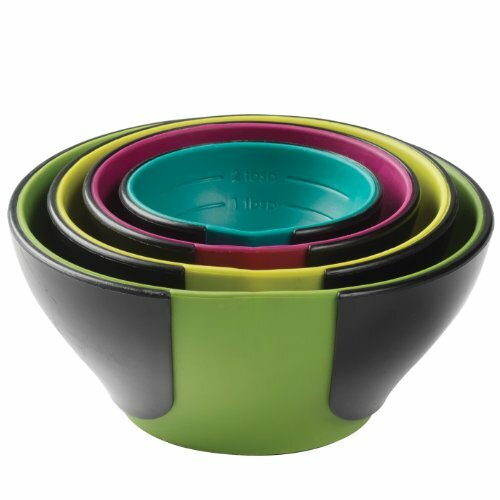 You can even use your mise en place bowls to keep your cookbook "in place"! Mise en place is also useful in other ways. Perhaps you're hosting a dinner party and have dishes that need to be prepared at the last minute - but you don't want to waste all your time with your guests in the kitchen, or get distracted with conversation if they join you there while you're cooking. Having your mise en place ready to go before your guests arrive can make the cooking process go much more smoothly - and guaranty that your dishes come out the way you intended them to. However, there are those who argue that mise en place is a "waste of time" for the home chef, at least in most situations. Even well-known chef and cookbook author Sara Moulton agrees! Certainly there are times when it can be more time-efficient to "prepare-as-you-go"; for instance, in preparing a slow-cooked stew or other dish where ingredients are added perhaps 10 minutes, 20 minutes or even an hour apart, you can do the necessary later preparation while the first-added ingredients are cooking. You might not even want to leave items like shellfish or seafood added at the last minute out at room temperature that long! 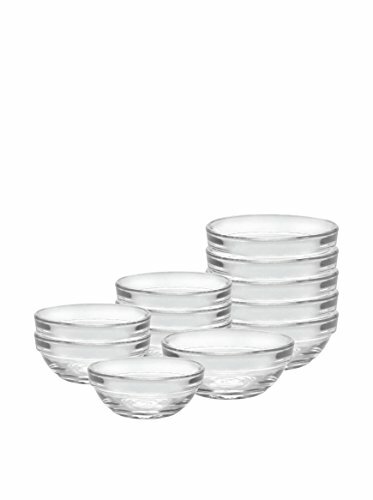 Another complaint about mise en place for the home chef is that it makes too many dishes to clean up after a meal - and there's no dishwasher on duty except the chef him or herself! Some also find it impractical in a small kitchen where counter space may be extremely limited and needed for actual cooking work itself. 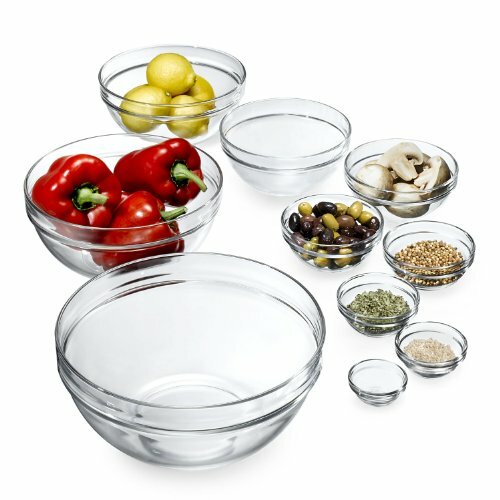 That said, some find the act of preparing mise en place very enjoyable and almost soothing; when my mother is getting ready to cook, she washes her veggies and brings them, her cutting board and her mise en place bowls into the living room to sit and prepare things while watching tv! That way she can relax and really carefully prepare everything in a comfortable space, before getting down to the work of cooking over the stove in a tight space. 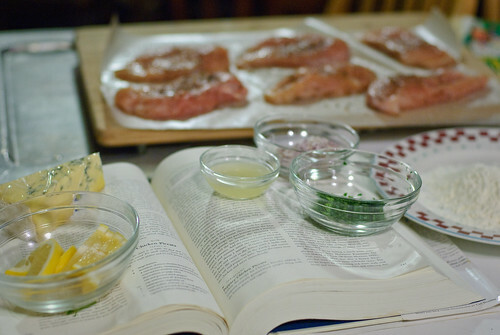 Do you follow mise en place principles when you cook? These videos illustrate the practices and philosophy of mise en place, in use in professional and home kitchens. 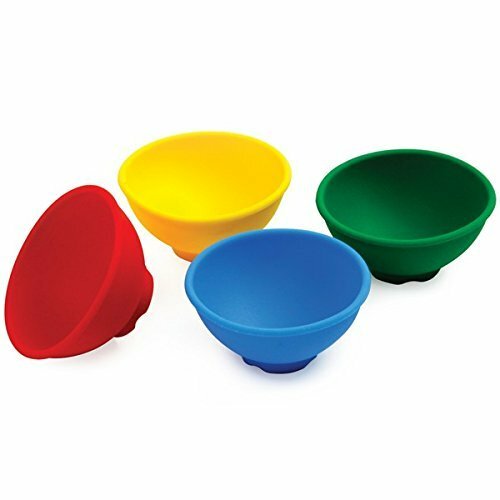 What do you need for mise en place in your kitchen? ...please visit my food blog, South Jersey Foodie! Tasty Eats in Middletown, New York: Seriously Tasty Asian Food! 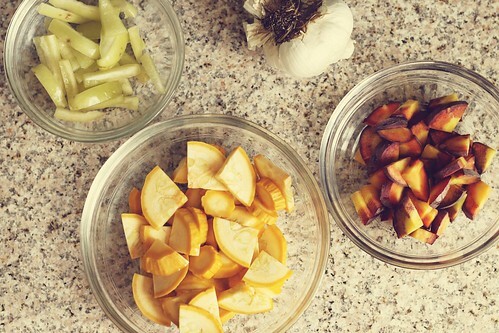 I often lay out the ingredients like that, especially when I chop vegetables. 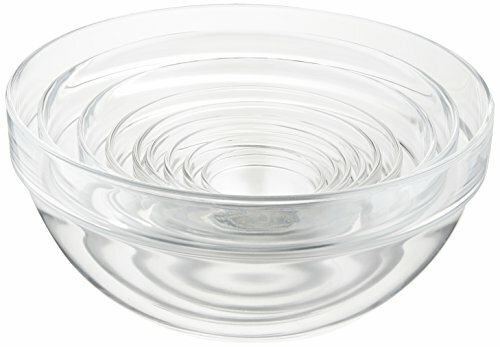 I will not use clean dishes for spices, but will get them all out too. I love to photograph recipes with all the ingredients on the table. What are the secrets to making perfect pasta dishes - everytime? Find out some simple tricks, tips and rules to follow here.